Great for CONUS training. 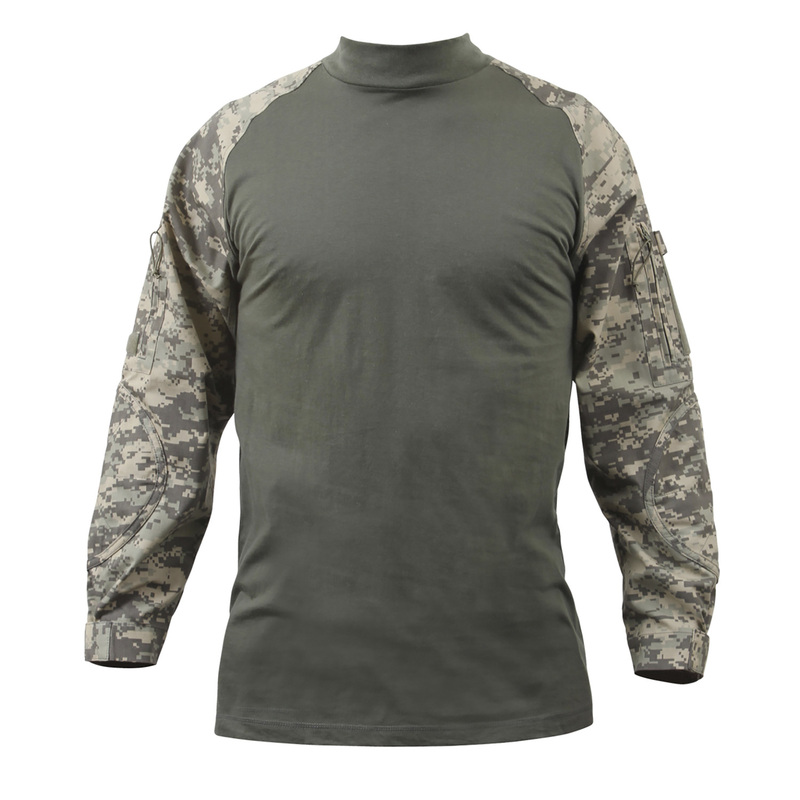 ACU Digital Camo Combat shirt with cotton ripstop sleeves. The body of the shirt is made of a light weight wicking material and the shirt is comfortable under tacticle vests.